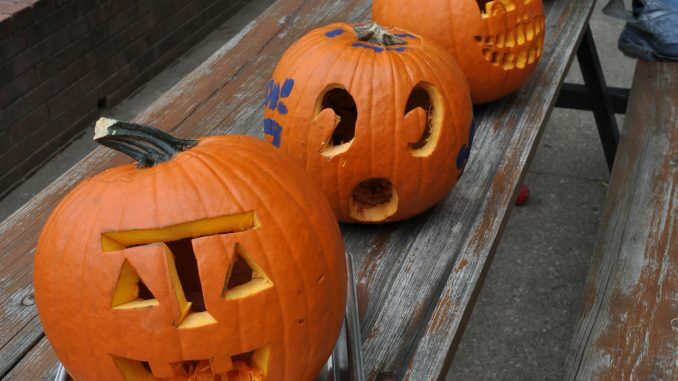 Delta Sigma Phi’s annual philanthropy event, Fear Fest, was three days of fall-themed activities. From capture the flag to a chili cook-off, other Greek houses competed with and against each other to earn points. Delta Sigma Phi’s prophets go to helping the Emily Lloyd Scholarship Fund. This year they raised $1244.75 for the scholarship. The chili cook-off proceeds go to the American Cancer Society, and they raised $261.94. This was a record year for money raised during Fear Fest.